This entry was posted on Wednesday, December 12th, 2012 at 12:25 pm	and is filed under KitCAD, Miscellaneous. You can follow any responses to this entry through the RSS 2.0 feed. You can leave a response, or trackback from your own site. 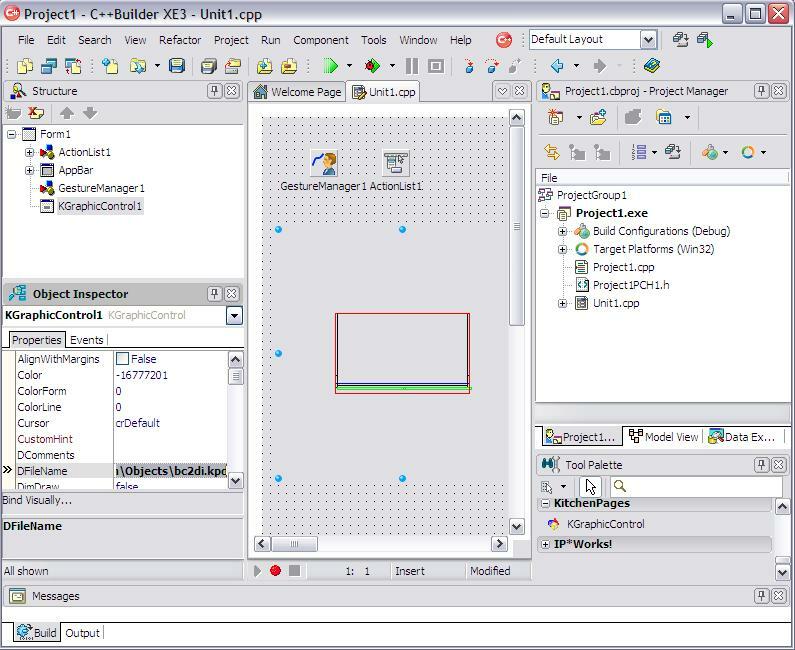 No major changes are required for KitCAD project source code – The KP.bpl can be made, built, and installed into the XE3 C++ package component Tool Palette under the group heading of KitchenPages. See: Migrating C++Builder Code to 64-bits part 1 if defined(_Windows) && defined(_WIN32) || defined(_WIN64), and part 2 notes change of obj/lib 8.3 file extensions to be o/l. KitCADi3ie5*.exe and night build (un-signed) for file versions of 1.5.16.44 – includes support for testing if x86 or x64 Program Files directories exist. Results are written to a file called /Kitchen/KitCADi3/test/_i3x86x64.js if found. NOTE: The current compiled 6,7,9,10,XE,XE2,XE3,XE3FM,XE3M8 Manifest file reference does not use the exe application names shown above; only the original exe application name of KitCADi3ie5.exe is supported. The XE3M8 Manifest is currently set to INVOKER. Compiled a modified C++ source code version for KitCADi3ie5.exe (x64) and configured the KitCADi3ie5.cbproj file to create 64bit exe files (including when the Win32.profile is selected). No public release is planed at this time; During run time testing a Direct 3D error was encountered after clicking on the current IE control. x64 compile time errors were corrected during first trial compiles – only 4 errors were generated; caused by using former int as TColor value. x64 run time errors were also corrected; The IE control is now a child of a TPanel control so it could re-size. The IE control (created for IE5) was compiled using IE8. The fix uses rvalues for properties (which throws error in 32bit compiles) so it will be re-written at a later date, after more testing. Updated the ie5.5sp2_XE3_64.zip archive (above) to include Kp2html.exe; Removed previously set deployment profiles from KitCADi3ie5.cbproj and Kp2html.cbproj targets to allow the build (not deployment) of x86/x64 versions on either x86/x64 machines using the MSBuild process as executed by XE3. To build C++ w32 (16/32bit) versions requires a version of CBuilder 4, or lower. 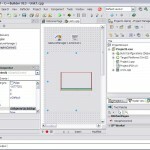 The CBuilder versions of 6 and above use delphi (16/32/64bit), Vb/.Net, and MSBuild processes. The required KGraphicControl.cpp/.h files for building Kp2html.exe can be located in the GNU-KitCAD.zip archive. See 64bit build issues for more information on changes/updates. End of product support notice – see notice for more information.